2018 Forest River FR3 29DS Double Slide. Great floorplan with HUGE Kitchen and Large U-shape Dinette! Options include: Prestige Package, Stainless Steel Package, Power Driver Seat, Dual Pane Windows, Fantastic Fan, Home Theatre, Outside TV, Onan 5.5KW Generator, Overhead Bunk, 15.0 Ducted A/C in living area, 13.5 Ducted A/C in Bedroom, Home Theatre, and so much more! This coach is brand new with an MSRP of over $133K, but we're slashing it down too low to advertise! 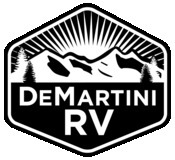 Item #8154 DeMartini RV Sales VIN: A12932 See More Information, Large Pictures and more Motorhomes, Trailers & 5th Wheels on our website at demartinirvcom! Find us on Facebook, Twitter, Instagram & YouTube!